• InCommand™ Control System - Features user-friendly D-handle with variable speed control and more functional operator presence controls. • Precision Balanced - Precisely balanced for true, straight-line tracking. 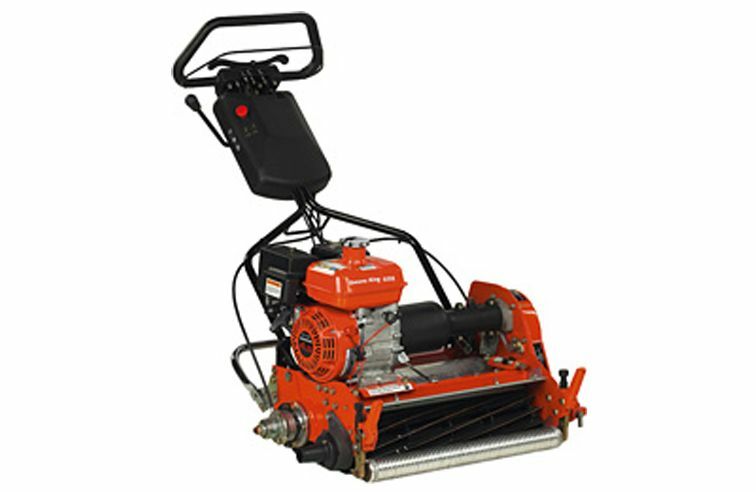 • Optional Turf Groomer® - Improves turf conditions through three-dimensional mowing. • Durable Centrifugal Clutch - Engages easily for smooth operation with no adjustments required. • Quiet belt drive system uses no oils, eliminating leaks on your green. 15 blade: 0.123 in. 7 blade: 0.25 in. GK 518 and 522: 0.062 in. - 0.438 in. GK 526: 0.062 in. - 1.25 in.